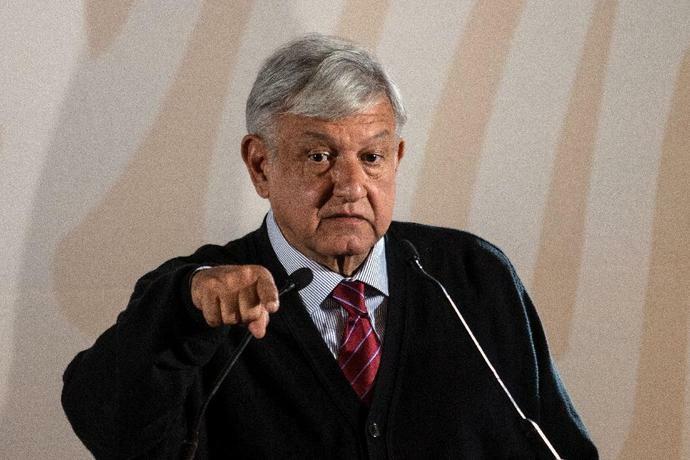 Mexico City (AFP) - Mexican President Andres Manuel Lopez Obrador said Friday he would soon announce a rescue plan for troubled state oil company Pemex, suggesting it would be worth around $1.5 billion. Trying to shore up the firm, Lopez Obrador's government has announced a series of tax breaks for Pemex -- and will now announce further measures next week, the leftist leader said. "The decision has already been made. We are going to strengthen Pemex, to rescue Pemex, to make it solvent," he told a press conference. He said the plan would include further reducing the company's fiscal burden, and did not rule out a cash injection. As of Thursday, the total amount of rescue money under discussion was "around $1.5 billion," he added. "Because of bad management by previous governments, which took away all its revenues with high taxes, Pemex was left in the situation it's in," said Lopez Obrador, who took office in December after running an anti-establishment campaign. Lopez Obrador had previously announced an increase of $3.7 billion in Pemex's budget. The recently announced tax breaks are meanwhile estimated to be worth around $3.5 billion by 2024. The company's production has plummeted for years, from a peak of 3.4 million barrels per day in 2004 to half that in December 2018. Lopez Obrador has vowed to increase Pemex's production to 2.4 million barrels a day by the end of his term, in 2024.